Did you know that bad breath is a regular problem for a quarter of adults in the UK? It’s true: 25% of British adults routinely suffer from unpleasant smelling breath. If you’re a sufferer of bad breath, then the good news is that you don’t need to be. There’s plenty of ways to fight bad breath (or halitosis, as it’s also called). In this blog post, we’ll go over the ways you can prevent bad breath and keep your mouth smelling nice and clean. Brushing your teeth is a great way to prevent bad breath. Brushing not only kills the bad bacteria that produce smelly chemicals, but it also dislodges leftover bits of food stuck in your mouth. Furthermore, most brands of toothpaste contain ingredients such as mint which help to freshen your breath. So do try to brush your teeth twice a day – once in the morning and once before going to bed. Flossing is another important weapon in the fight against bad breath. It’s a great oral hygiene tool because it dislodges food stuck between your teeth. In other words, floss can reach places that your toothbrush can’t. So while your toothbrush should be the cornerstone in your battle against halitosis, make sure to use floss too. Mouthwash is another effective way to combat bad breath. It often contains special antibacterial ingredients that help to keep the bad bacteria in your mouth under check. Furthermore, most brands of mouthwash contain ingredients such as chlorine dioxide, which helps to neutralise bad smells in your mouth. We’ll admit that tongue scrapers are not all that common – do you know anyone who actually uses one? However, they can be a great tool to fight bad breath. This is because your tongue is a place where bacteria often accumulates. The bacteria then create smelly sulphur compounds that cause bad breath. So if you’re serious about eliminating your halitosis, then considering using a tongue scraper every night to keep your tongue nice and clean. If none of the other methods has worked, then why not try chewing gum? It’s been shown that chewing gum can actually freshen your breath by encouraging your mouth to produce more saliva – this, in turn, helps to kill the bacteria that cause bad breath. And of course, most brands of chewing gum are flavoured, which can temporarily alleviate bad breath by masking bad smells. If you do use chewing gum though, make sure to choose a sugar-free version so you don’t encourage the formation of cavities! If all else fails, then it’s time to seek professional help. This can be a dentist or a doctor. Although it’s unlikely, your bad breath might be a symptom of an underlying issue, such as diabetes, gastritis or a liver problem. Don’t be too worried though, as most cases of bad breath aren’t caused by anything serious, and they clear up once your oral hygiene improves. So get out that toothbrush! There’s nothing worse than seeing a child in pain, which is why it’s important to keep your child’s teeth strong and healthy. That’s because if you don’t take care of your child’s teeth, cavities can form, which can become quite painful and even eventually cause tooth loss. To make sure your child has healthy, cavity-free teeth, follow the advice in this post. Dentists recommend that adults brush their teeth twice a day – the same goes for babies and children too. In fact, you should start brushing a baby’s teeth as soon as the first tooth appears, which is usually between four and seven months. For babies and children, it’s best to use a toothpaste that’s relatively low in fluoride – around 1,000ppm will do the trick. Adults are better off using a toothpate with around 1250ppm of fluoride, which is a bit stronger. Children need a weaker toothpast because they’re more likely to swallow the toothpaste than adults, and swallowed toothpast can cause a condition known as fluorosis if it’s ingested often enough. That’s why you should only use a tiny smear of toothpaste for babies and a pea-sized blob for children. If you find that your child refuses to brush his teeth, then there’s a few things you can do to overcome the problem. First, let your child choose his own toothbrush – the ones with cartoon designs on them are often popular with children. Second, try using a flavoured child’s toothpaste as they can be more agreeable to a child’s palate. Third, make sure your child sees you brushing your own teeth, as there’s nothing a child likes more than copying Mum and Dad. It’s said that adults should see a dentist at least once a year. Children should see a dentist even more frequently – around every six months or so. This is because children tend to eat a lot of sugar in their diet and this can quickly lead to cavities. Dental checkups are important because a dentist can give a filling if the cavity has become too large, thus preventing further damage to your child’s teeth. Many children are apprehensive about going to the dentist. If your child feels this way, then don’t worry; it’s entirely normal. You can help your child to overcome this fear by teaching her about what happens at dental checkups and by letting your child watch you yourself go through your own checkup, if possible. As mentioned, children tend to eat a lot of sugar. Sugar is found everywhere nowadays and it’s especially prevalent in kids’ diets – sweets, chocolate, biscuits, breakfast cereal, whole fruit, dried fruit and fruit juice are just some common sources of sugar. Try to limit your child’s sugar intake as much as possible because it wreaks havoc on children’s teeth. Sugar is the main cause of cavities in the UK, not only among children but with adults as well. Children should be eating no more than 25 g of sugar (that’s six teaspoons) per day. Cavities are a problem that affect the enamel, which is the hard, outer layer of your teeth. Along with gum disease, it’s one of the most common dental problems, especially among older patients. How do dental cavities occur? Your teeth are covered with an invisible layer of plaque, which is made up of bacteria and tiny bits of food from the meals you’ve eaten. This plaque forms just twenty minutes after you’ve eaten. If you don’t clean off the plaque by brushing and flossing, then the bacteria that make up the plaque will take the sugar and starch from the foods you’ve eaten and convert it into acid. This acid will attack your enamel by demineralising your teeth, and eventually, you’ll get cavities. What are the main risk factors for cavities? Poor oral hygiene. Brushing your teeth the wrong way, not brushing your teeth for long enough and forgetting to use floss can all lead to cavities. Crooked teeth. If your teeth are crooked or are too close together, this can be a risk factor for cavities because it makes it harder for you to clean between your teeth. Diet. A diet high in sugar, starch and acidic foods can easily lead to cavities. Acidic saliva. Some people naturally have slightly acidic saliva, and unfortunately this puts them at greater risk of cavities. Vomiting. Vomiting and gastrointestinal reflux can lead to cavities because the acid weakens your teeth. Initially, cavities are symptomless, but as they get larger your teeth will become more sensitive to certain foods, such as hot and cold foods as well as sweet ones. Other early signs of cavities are stains, bad breath and a bad taste in the mouth. Once the cavity has grown large enough to get through the enamel, you’ll probably feel pain as the cavity makes it way to the tooth’s pulp and nerve. You also might experience inflammation. If you think you have a cavity, then it’s best to see a dentist as soon as possible. A dentist will be able to tell if you have a cavity or nor and will be able to administer treatment if necessary. Brush your teeth twice day. Brush your teeth for two minutes twice a day, change your toothbrush every three months and make sure to use a toothpaste that contains fluoride. Floss. Make sure to floss every day before you go to sleep. It will help to dislodge food and bacteria from between your teeth. Chew gum. Chewing gum can help to prevent cavities because it stimulates your mouth to produce saliva. If you do chew gum though, make sure it’s sugar-free! Eat a healthy diet. Limit the amount of sugary and acidic foods that you eat, such as fruit juices. Visit a dentist regularly. Visit a dentist twice a year for a checkup. What are cold sores and how can I get rid of them? Cold sores are a type of blister that occurs on the lips and around the mouth. They’re common and usually nothing to worry about, and they normally go away on their own. However, if you’ve got an important event coming up – like a wedding, for example – then you’re probably looking for a way to get rid of your cold sore quickly. So, in this post, we’ll discuss some of the ways you can get rid of your cold sores faster. First, let’s discuss what cold sores actually are. Cold sores (also known as fever blisters) are clusters of tiny blisters that appear on and around the lips. The cause is a virus called herpes simplex virus type 1 (or just HSV-1 for short). Most people are actually already infected by this virus, but the virus lays dormant most of the time. Occasionally, and especially during periods of stress, the virus will activate and cause a cold sore. You can tell a cold sore is coming because of early warning signs like redness, burning, swelling and tingling of your lips or around your mouth. A day or two after the first sign, tiny blisters will start to appear (these are what are called fever blisters). These blisters eventually pop to form what are known as cold sores. Finally, the sores will crust over and heal. How can I get rid of a cold sore? Use a cold, damp cloth. A good way to make your cold sore heal faster is to apply a cool, damp cloth to the affected area. This will also help make the sore less red and crusty. Apply ice. If you don’t have a cold sore yet but you can feel one coming on, then try applying ice to the affected area. With a bit of luck, it will prevent a cold sore from appearing. Apply ointment. If you want to get rid of that cold sore fast, then try an ointment. You can get a cold sore ointment over-the-counter at most pharmacies. Apply the ointment frequently and it should help to make the cold sore go away faster. Use antiviral medications. Certain antiviral medications can make a cold sore disappear quickly. These medications include famciclovir and acyclovir. However, they’re not available over-the-counter, which means you’ll have to get a prescription from your doctor or dentist. Also, keep in mind that these medications are more effective when taken before a cold sore has appeared. So, keep an eye out for the early signs of cold sores and get a prescription quickly. Once you’re infected with HSV-1 (and unfortunately, most people already are), you’ll probably suffer from occasional cold sores for the rest of your life. However, there are a few things you can do to minimise the risk of outbreaks. Reduce stress. Cold sore outbreaks are often triggered by periods of stress. So have a cup of tea, meditate, take time off work – whatever you need to do to reduce your stress levels. Use sunscreen. There’s evidence that people can reduce their risk of cold sores by applying sunscreen around their lips. Take antiviral medications. If you suffer from cold sores all the time, your doctor might give you a regular prescription you with an antiviral medication to help prevent further outbreaks. Valentine’s day is only a couple of weeks away and we’re already salivating in anticipation of boxes of chocolates. Of course, though, chocolate isn’t the best thing for your teeth, which is why it’s good to practice moderation. In this post, we’ll discuss how chocolate affects your teeth and provide some tips on how you can minimise the damage. How does chocolate affect my teeth? Chocolate is generally bad for our teeth. This is because it contains sugar, and as we all know, sugar is bad for us. Certain bacteria in your mouth feed on sugar and turn it into acids, and these acids erode your teeth and make cavities. However, the real situation with chocolate is more complex, because some types of chocolate contain less sugar than others. There are three broad types of chocolate: white chocolate, milk chocolate and dark chocolate. What’s the difference between them? Well, milk chocolate is basically cocoa butter, cocoa solids, milk and sugar. White chocolate is the same as milk chocolate except it doesn’t contain cocoa solids. Finally, dark chocolate doesn’t contain milk and it has more cocoa than milk and white chocolate. Which type of chocolate is worst for my teeth? White chocolate and milk chocolate are the worst type of chocolate for your teeth because they contain the most sugar. This is because only a small proportion of white and milk chocolate is actually cocoa – usually only 20%. The rest of the ingredients are milk and sugar. So it’s not hard to see why white chocolate and milk chocolate are bad for your teeth – when you eat them, you’re mainly eating sugar. Dark chocolate is better for your teeth. This is because dark chocolate is at least 45% cocoa, which means there’s less sugar than white and milk chocolate. Also, dark chocolate isn’t just better for your teeth because of its lower sugar content. It also appears to have ingredients that can protect our teeth from decay. Specifically, dark chocolate is high in theobromine, a molecule that’s poisonous to dogs but a slight stimulant to humans. Theobromine is also thought to help to preserve tooth enamel. According to a study in 2013, theobromine combats the demineralization of tooth enamel and therefore helps prevents cavities. Finally, here’s some advice on how to enjoy chocolate without necessarily damaging your teeth. Pay attention to the chocolate’s sugar content. Avoid chocolate that’s high in sugar, such as white and milk chocolate. Consider switching to dark chocolate instead, and go for the darkest chocolate available. This is because the darker the chocolate is, the more cocoa it contains and therefore the less sugar there is to damage your teeth. Consider switching to chocolate with zero sugar. You might think that zero-sugar chocolate would taste too bitter to eat, but it actually contains artificial sweeteners to simulate the sweetness of sugar, so the taste is often quite similar to real chocolate. Maintain a good oral hygiene that consists of brushing twice a day and flossing at least once a day. See a dentist regularly. This will help to catch any tooth decay caused by eating chocolate and sugar. If you think your teeth have been affected by too much chocolate or sugar, contact us at 0121 357 5000 to book a dental appointment. We all know that soft drinks aren’t good for your health. Some soft drinks are high in sugar, and even the sugar-free versions contain acid that can erode your enamel. In this post, we’ll examine this topic further by answering some of your questions about soft drinks. Why are soft drinks bad for my teeth? Soft drinks are bad for your teeth because they are high in sugar and/or acids. Sugar is harmful because it encourages bacteria and plaque, which in turns causes cavities. Acid is harmful as it erodes the enamel (the outer layer of your teeth). Is diet cola better for my teeth than regular cola? Diet drinks, such as Diet Coke and Coke Zero, are indeed better for your teeth than regular cola. A can of cola contains a whopping 33 g of sugar, while diet cola is sugar-free. So, yes, the sugar-free version is better for your teeth than regular cola. So diet cola is okay for my teeth? No. Although diet drinks are sugar-free, it doesn’t mean they’re good for your teeth. This is because all fizzy drinks contain acids that erode the enamel on your teeth. Even sugar-free drinks contain these acids. Therefore, it’s best to limit your consumption of all fizzy drinks. Which other drinks are high in acid? The following drinks are high in acid: carbonated drinks such as fizzy pop, white wine, cider, alcopops, some sports drinks, fruit teas, juices made from citrus fruits (e.g. orange juice and grapefruit juice). In addition, some foods are acidic. These include citrus fruits, such as lemons, oranges, blackcurrants, and grapefruits. However, the benefit of these healthy citrus fruits for your overall health, outweighs the negative effect of tooth erosion. So what’s the best thing to drink? The safest drink for your teeth is still water, whether it’s from the tap or from a bottle. Still water is pH neutral which means it reduces acidity in your mouth. Though of course it would be a boring life if water was all we drank. Alternatives to water are sugar-free squash, diluted fruit juice, tea (without sugar) and coffee (also without sugar). Although these drinks don’t benefit your teeth, they don’t do much harm either. Try to avoid drinking large amounts of fruit juice. Even though fruit juice has a reputation as healthy drink, it’s actually quite bad for your teeth as it’s high in acids. A good idea therefore is to dilute your fruit juice with water. How can I prevent tooth erosion from getting worse? Don’t brush your teeth too soon after eating acidic foods. Acid weakens enamel, and if you brush them when your enamel is weakened, you could damage your teeth. Don’t drink acidic drinks before you go to bed. The acid will linger on your teeth during the night and weaken your enamel. Talk to your dentist or doctor for help or treatment. Christmas is just around the corner and people are once again getting gearing up for the festivities. But amidst all the mince pies, pudding and turkey, we ask that you spare a thought this Christmas… to your teeth. We don’t want to put a downer on things, but your teeth are assaulted with sugar over Christmas, whether it’s sugar from pudding, sweets, chocolate or Bucks Fizz. All that sugar can cause cavities. So, give yourself a present by following our six tips for a tooth-friendly Christmas. Practice moderation. Moderation is definitely the best thing you can do for your teeth at Christmas. So don’t be afraid to say no to the sweet tin as it comes around the table, or to decline the offer of a mince pie. Saying that, you don’t need to be a Scrooge – after all, Christmas is the one time of year when you should be able to eat and drink as you like. We’re just saying to keep in mind the amount of sugar you eat, and to try to keep it reasonable. Don’t break your dental routine. Our routines tend to get a bit wobbly during Christmas due to all the stress, excitement and festivities. But Christmas is also the time when your dental hygiene routine is more important than ever. Make sure your dental hygiene routine is one you don’t break. That means brushing your teeth when you wake up and brushing again before you go to bed. The same goes for children. Christmas morning is very exciting for children, but they can spare a couple of minutes to brush their teeth. Put out carrots for Father Christmas. It’s a Christmas Eve tradition in some homes to put out a mince pie and a glass of milk for Father Christmas. But why not substitute the mince pie for some carrots instead? You can tell your little ones that the carrots are for Father Christmas’s reindeer for their long journey. By incorporating carrots into a Christmas tradition, you’re subtly teaching children the importance of vegetables, which will help serve their teeth well for the rest of their lives. Don’t open bottles with your teeth. You’ll probably open a bottle or two at Christmas, whether it’s wine, beer or champagne. But please don’t use your teeth to open bottles. This is because your tooth can chip or even break off entirely! Stay on Santa’s nice list and use a bottle opener instead. Don’t forget the dentist. If you have a dental appointment near to Christmas, then don’t forget to go. We know that Christmas can be a busy time but that doesn’t mean you should skip dental appointments. Consider switching to sugar-free foods. If you really want to score bonus points with Father Christmas this year, then consider buying sugar-free versions of popular Christmas foods. The big supermarkets usually sell lots of sugar-free options, including mince pies, chocolate and cake. These foods are usually intended for diabetics but they’re good for your teeth too. From the team at Scott Arms Dental Practice, we wish you a merry Christmas! And one final tip: if you’re playing reindeer games with Rudolph this Christmas, then don’t forget to wear a mouth guard! 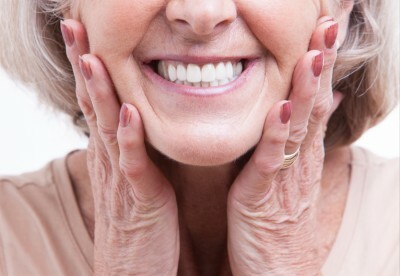 What is it like to wear a denture? Initially you might feel like there is a lot in your mouth and that the dentures are too bulky. It doesn’t take long for the body to adapt to this new sensation with continued use. Your denture may be slightly uncomfortable at first: the soft tissues in the mouth aren’t used to being in constant contact with materials. With good denture hygiene, the mouth should accept the new dentures within a couple of weeks and soreness will decrease. However, if any discomfort persists or soreness is not manageable, visit your dentist for an emergency appointment to have the dentures adjusted. Over-the-counter medicaments to ease oral soreness may be useful in the management of denture-related discomfort. However, some of these gels and creams can cause burns if used underneath a denture and should be massaged into the tissues at least half an hour before denture insertion. In the first few weeks of denture wearing, you might also feel that your tongue has less room, you are producing more saliva than usual and your gag reflex is heightened. These sensations are normal and will diminish with time. Before leaving with your new denture, your dentist will assess how you speak with it in. Talking with a new denture in place requires practice and reading aloud for the first week can help. You might feel that your dentures are ‘clicking’ or that your voice is altered. With continued use you’ll find that your speech returns to normal again as your cheeks, lips and tongue all adjust to accept the new denture. In most cases, having a well-made denture will allow you to eat the same foods that you could previously. However, when starting out it is best to cut food into small pieces and attempt to eat on both sides of the mouth at the same time to help stabilise the denture. Eating softer foods initially will help you get used to the feeling of eating with a denture in and reduce the likelihood of discomfort; things like cooked vegetables, pasta and mashed potato are recommended. To begin with, you might feel like your food has lost its flavour. This is usually only transient. Your brain, for a while, will perceive the denture as a foreign object and sensory signals will be received from both the food and the denture together, reducing the impact of flavour. Once the brain adjusts to the presence of the denture, your taste buds will return to normal. If you continue to have trouble eating or speaking with your dentures, trying a denture fixative might be the answer. Apply the fixative like a cream to the fit surface of the denture in accordance with the instructions before inserting: this will help keep the dentures in place and allow you to eat and speak with more confidence. Check out ourdenture page for more information regarding denture options and how to look after your denture. The 15th April saw the beginning of Depression Awareness Week. The week has been taking place for the last 12 years and aims to raise funds for charities like Depression Alliance, end the stigma associated with depression and, most importantly, raise awareness about the crippling condition. With the Workplace in Europe Audit conducted last year showing that Brits are the most depressed workers in all of Europe, raising awareness is important. Depression is not only a personal issue, but an economical issue too: the audit showed that the UK was one of the top countries reporting depression-related absences from work. It is commonly suggested that dentists, over all other professions, have the highest rate of both depression and suicide. There is actually no evidence to suggest that dentists have a high chance of depression, let alone the highest. But perhaps it is better to be thought of as miserable and unfulfilled than as the sadists portrayed in both Little Shop of Horrors and Marathon Man, where the dentists depicted take great pleasure in inflicting pain! Luckily, stigmas associated with both dental treatment and dentists themselves seem to be changing. 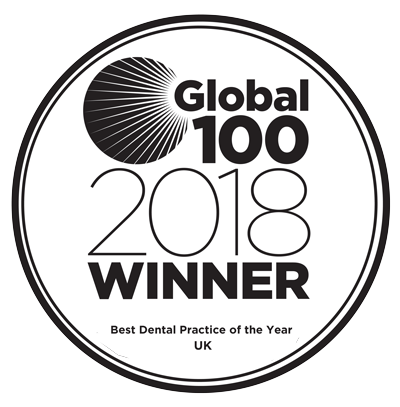 The Adult Dental Health Survey is reporting a rise in patient satisfaction with 80% of people having no complaints about recent dental visits. Being a dentist is a rewarding and social job: for many it is a passion and a vocation as much as it is a profession. On applying to dental school, students without the obvious aspiration for hands-on work, maximum patient interaction and a desire to help are hastily encouraged to pursue other options. Even during dental school, students who prove themselves to be incapable of dealing with the demands of general practice are recommended to find other paths of study. Dental school in itself prepares future dentists for an active and sometimes taxing career and graduates students who are prepared and able to meet the demands expected of modern dentists. 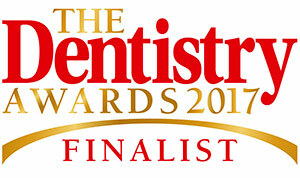 But the rumours certainly stem from somewhere: being a dentist can be stressful. The profession comes with a relatively low status within the medical profession and many dentists report difficulty developing relationships with some patients. Not to mention that, for many people, visiting the dentist is not at all looked forward to; this certainly makes for a miserable day for the dentist too. Waiting lists, delays, prices, bad news – all can push the average patient to an irritation often aimed at the dentist, which can make for a seemingly unsuccessful day. But regardless of which profession suffers most, depression can be disabling and supporting charities like Depression Alliance can help the thousands of people struggling. 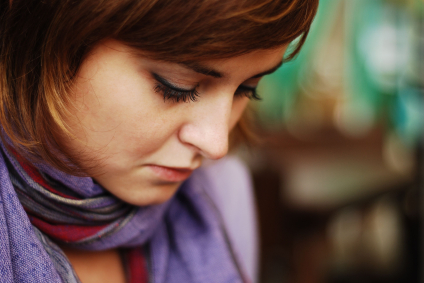 Depression Alliance provides local support, online services, supporter schemes and much more to aid the population who are suffering in silence.